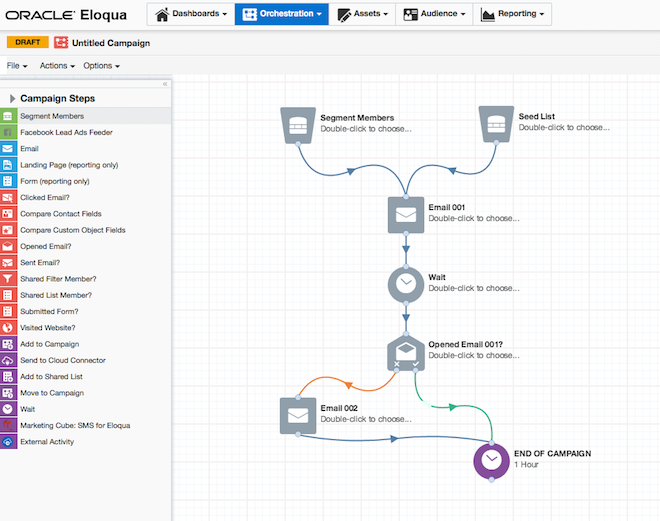 As consultants we can easily get lost in the endless possibilities that marketing automation provides. 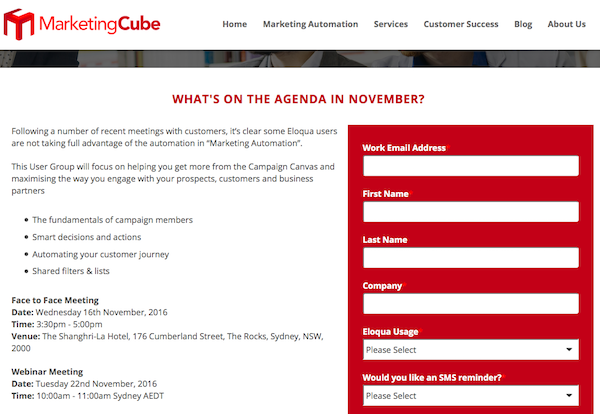 This might include complex forms and triggered campaigns through to CRM integrations and data mapping to build a richer profile of your contacts. So it can be forgiven that sometimes we forget that we just need to step back and reevaluate if the basics of marketing automation are in place as the foundation of your marketing strategy. The most common theme we see is that there is still a batch-and-blast, “I don’t have enough time to build campaigns” mentality when it comes to eDM deliverability. Ok sure, your content is out there for your audience to see but what’s their experience with your brand like? Do your contacts feel engaged? Are you sending emails out in recurring patterns that your audience become accustomed to seeing? One of the greatest reasons why I find this is still occurring is that there is still a belief that everyone in the database needs to see the email. This is most likely due to the organisation doubting their own data quality or that fear of having people missing out. It’s a good thing there are certain strategies we can implement to change this perception. What if we started segmenting? You don’t have to do anything outrageous to start. Just look at your actual engagement rates. When was the last time a contact actually opened an email? What is your current unsubscribe rate? Are you using email groups to manage your sends? Once you’ve established the fundamentals, you can at least start engaging with those who are engaging with you. You can then begin using the most simple marketing automation strategy like the image below, repeat a send to someone who didn’t even open your original eDM. Although you might not be emailing contacts in your database because you have marked them as inactive, you can still reach out to them with a reengagement campaign. What do I mean by this? Well, your segments and automation strategy cannot be personalised if you don’t have sufficient data to work with. So when you have access and the ability to work with forms and landing pages then go ahead and use them. This is a great chance to speak with your Sales team to understand the information they need to be able to sell. At a minimum you should be collecting the following information on your contacts or if these are not relevant, then try to understand what the most common questions your business asks of your contact data. This data can be collected over time. You can build up the profile of your contacts using progressive profiling – simply switching out the questions once you’ve got the answer. By having complete data, you can use this to engage your contacts with content that is personalised and targeted. For example, there’s little point blasting a database with content regarding events within NSW when you can offer a better experience by segmenting your contacts who live within NSW and would actually be more inclined to go to these events. Subscription management is just as important. Within Eloqua when a contact completes a form, subscribe them to your most valuable eDM groups first and then let your contacts manage their own preferences when they start receiving content. By allowing your contacts to manage their own preferences, it provides your contact the control of message streams they will receive (which they will thank you for) and it means you are engaging with contacts who actually want to hear from you. I’ve lost track of the number of times that I’ve seen this happen…an email was sent with a wrong hyperlink, someone’s registered to an incorrect event, or the wrong audience was sent an eDM. This happens because templates were not set up, or more often, a shortcut was attempted by doing a “save as” of an existing form, segment or email. Templates will make your life so much easier and of course will enable your marketing automation campaigns to run smoothly. Take some time to lock down the creative, ensuring it is on brand and of course mobile responsive. If you’re looking to template forms, then ask yourself what are all the key processes you want your contacts to follow in their journey, what questions are always asked and how do you want to capture responses? Remember, marketing automation can create a unique journey for all your contacts and there are countless options available on these platforms to do so. However, by locking down the basics, you can at least begin to align your data and personalise your engagement with your database.